Sometimes as an event professional, it feels as if you put in the hard work, but still don’t seem to pull in high ratings from customers. If this sounds like you, we have a few great tricks to get you on your way to lots of high ratings. It’s an odd behavioural quirk of humans, but once someone has already left a review, other people are going to be more willing to follow suit. This means it’s crucial to get that first review. It might be that you already have a few reviews on Facebook or Google Business. Ask those customers if it would be okay to copy their review to Bookings Connected, and then you’re all set! 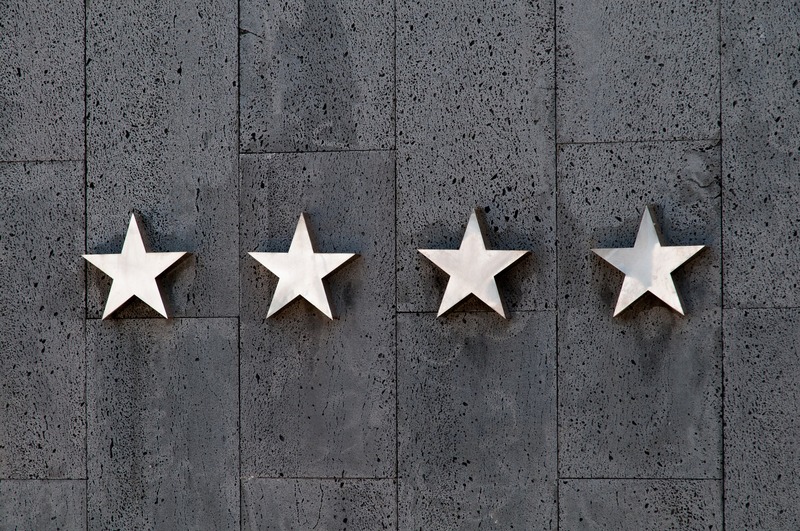 If you don’t have any reviews anywhere yet, check your email conversations with customers. If someone has told you already that they were really pleased with your service, all it takes is one small reply asking if they’d be willing to leave a review for you, and giving them the link for them to leave that review. Don’t forget that getting that first review public is the catalyst for many more reviews (and much more business). Whenever you contact a customer asking for a review, it’s worth personalising your message somewhat. Talk about what you loved about their event, and specifically mention what you enjoyed doing most for them. This will likely evoke happy memories of the event from the planner, and by specifically mentioning what you did for them it will also give them a writing prompt for their review when they write it. Which of the following ice sculpture service reviews do you think is best? The second review with more details is far preferable, as it gives future customers a much better idea of what to expect from both your service and the quality of your work. Always give your customers that tiny reminder of what you did, as the resulting review will be much better. A lot of the time, getting a review merely comes down to when you ask for it. If you’re asking your customers for reviews when they’re still busy unwinding from the event, they might not have time to give a response. If you’re asking too late, they might put it off indefinitely. The right time will come down to your customers and their needs, but it’s definitely worth working out exactly when that best time to ask is, as the number of reviews you get for your business is vital. To make your life easier, Bookings Connected will ask your clients for reviews after the event automatically. However, putting in the effort yourself, using a combination of the tips above, will ensure that you receive the very best reviews every time. In the end, customers these days do a lot of research before buying, and reviews are the ultimate indicator of social proof. A well-thought-out review from a complete stranger is just as useful to a potential buyer as a rave review from a trusted friend. In fact, some studies have reported that even one solitary positive review can increase a supplier’s chances of getting hired by up to 70%! This means getting reviews on an event services profile is just as important as quality photos and detailed offer information. That’s why it’s so important to focus on getting these reviews. So, get started!